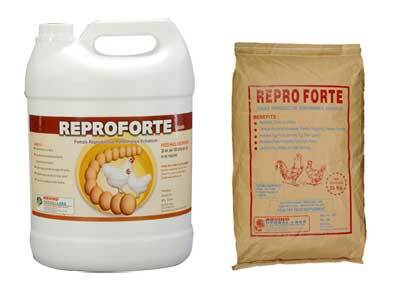 We offer Female Reproductive Performance Enhancer, which is the finest quality poultry feed supplement that is used for enhancing female reproductive performance. Corrects hormonal imbalances thereby regulating ovarian function. Improves egg production and egg shell quality. Persistent peak production for longer period. Useful during molting and after moulting. Feed Inclusion Rate : Powder: 500 gm. per ton of feed or as required. Presentation : 1 It., 5 It. & 30 It. can 10 kg. & 25 kg. bag.